In the previous chapter, entitled Working with iOS 4 iPhone Databases using Core Data, an overview of the Core Data stack was provided, together with details of how to write code to implement data persistence using this infrastructure. 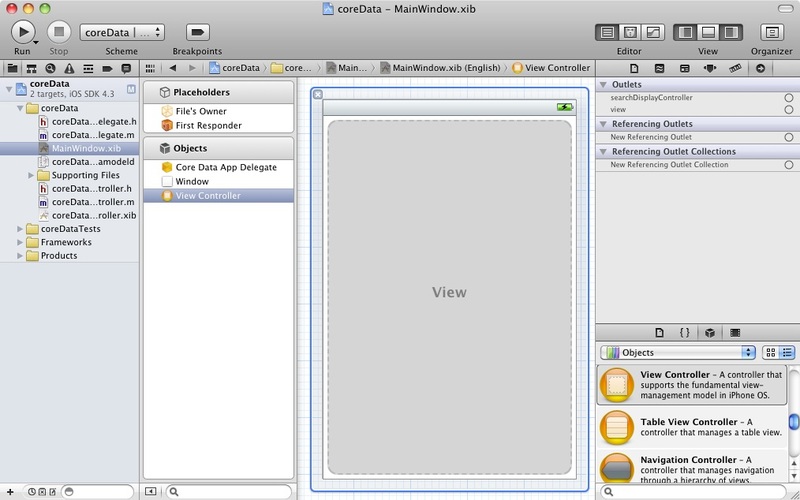 In this chapter we will continue to look at Core Data in the form of a step by step tutorial which implements data persistence using Core Data in an iOS 4 iPhone application. As is often the case, we can rely on Xcode to do much of the preparatory work for us when developing an iPhone application that will use Core Data. Currently, however, only the Navigation-based Application, Utility Application and Window-based Application project templates offer the option to automatically include support for Core Data. To create the example application project, launch Xcode and select the option to create a new project. In the new project window, select the Window-based Application option. 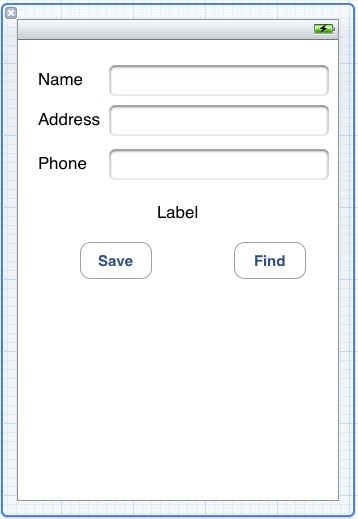 In next screen make sure that the Device Family menu is set to iPhone and that the check box next to Use Core Data is selected. 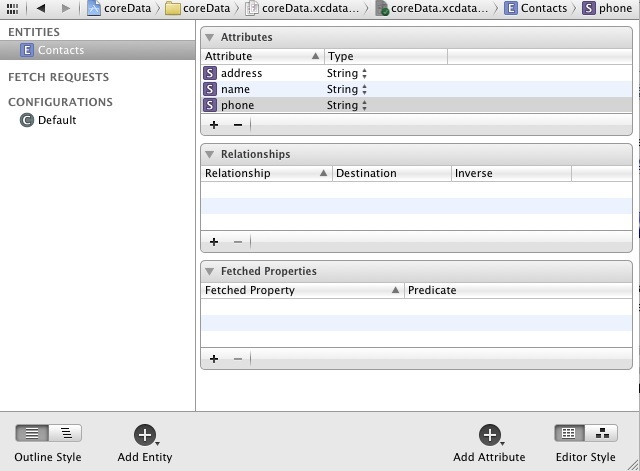 Name the product coreData and click Next to select a location to store the project files. In order to automatically add Core Data support to our application we had to choose the Window-based Application project template option when we started Xcode. As such, we now need to create our own view controller. 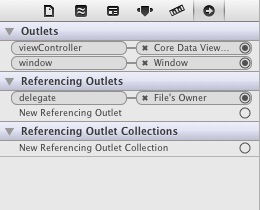 Within the Xcode project navigator panel, Ctrl-click on the coreData folder entry. From the popup menu, select New File... In the new file panel, select the iOS Cocoa Touch Class category followed by the UIViewController subclass icon and click Next. 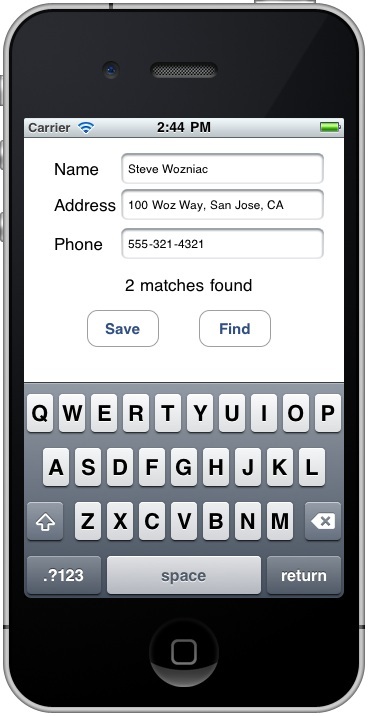 On the following options screen, select the With XIB for user interface check box and make sure the Targeted for iPad option is off. 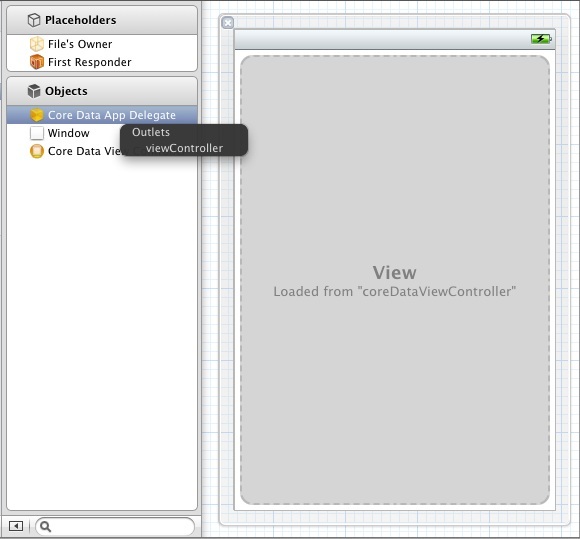 Click Next and name the class coreDataViewController before clicking on the Save button.